Happy Friday and the the first day of #11 Inky Paws Challenge! 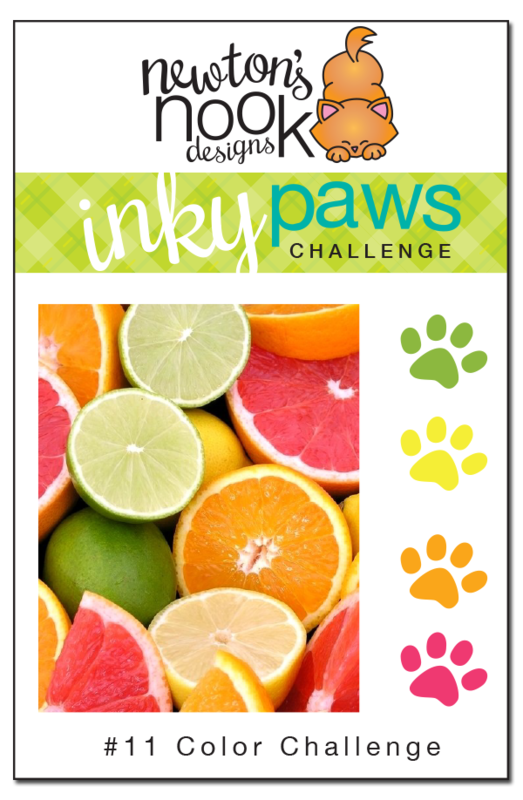 For this challenge we want you to use these bold citrus hues! You have two weeks to play along. Deadline to enter is Friday, July 11th, 2014 at Midnight CST. The winners will be announced on the NND blog on Sunday, July 13th. Post your project to your blog or to an online photo gallery such as Flickr , Pinterest, or splitcoaststampers (on splitcoast please use keywords newtonsnook and IPC11). 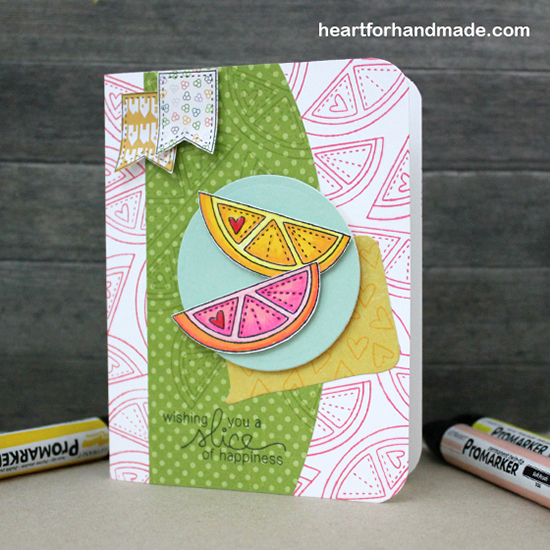 Our Guest Designer Ria Montefalcon used our new Sweet Summer stamp set to create this yummy card - I love how she used pink fruit slices to create a fun background too! 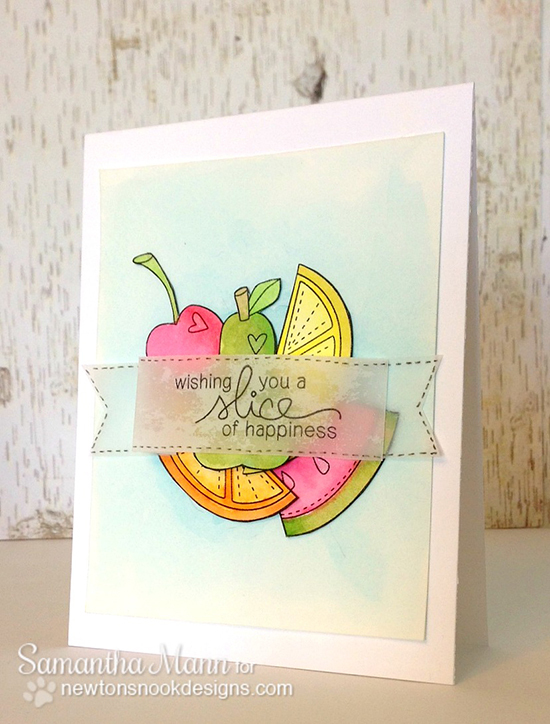 Love this bunch of watercolored fruit by Samantha Mann using our new Sweet Summer stamp set! The colors are so soft and pretty! This card by Danielle Pandeline will make you laugh! 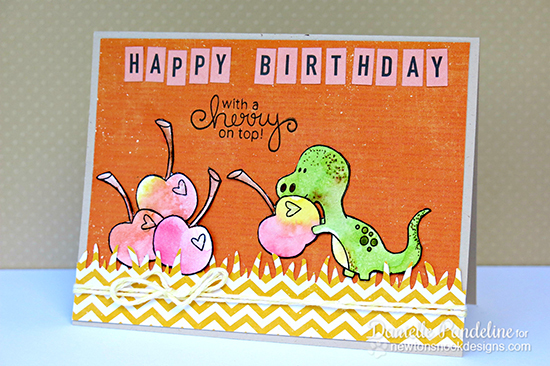 I love how she made the cherries from our new Sweet Summer stamp set look HUGE by pairing them with the dino from Prehistoric Pals! 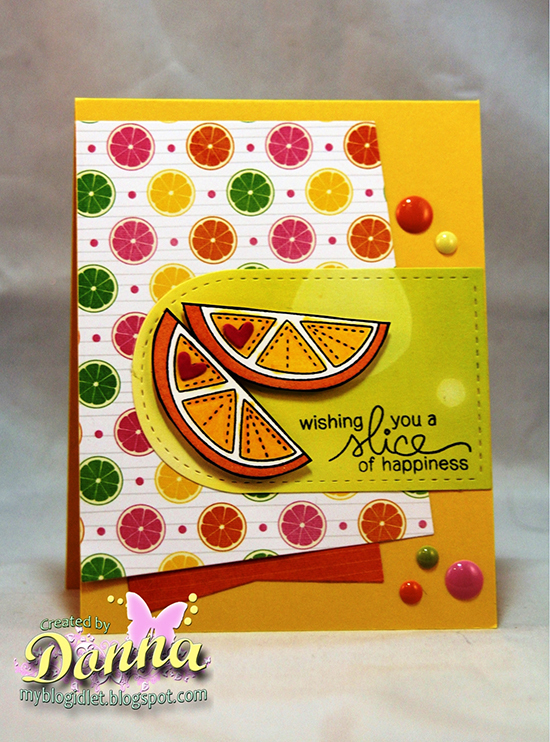 Love the bright colored colored fruit on this card by Guest Designer Donna Idlet!. She found the perfect paper to to with our the citrus slice stamp from our our new Sweet Summer stamp set! 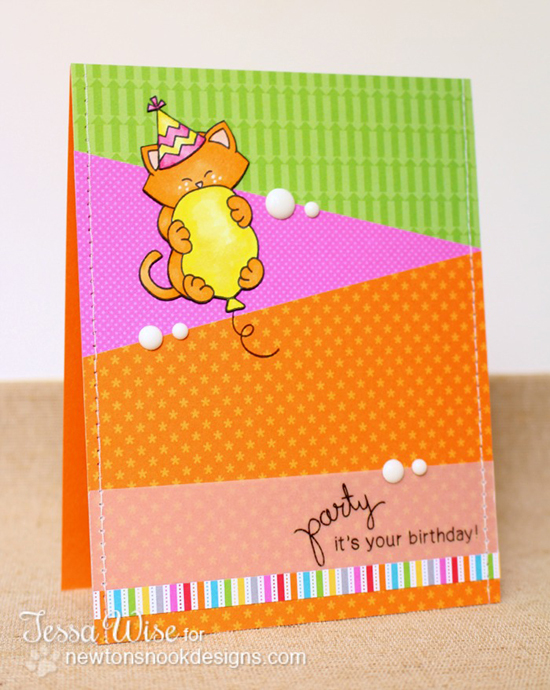 Tessa Wise used the citrus color palette to create this awesome fun birthday card using our Newton's Birthday Bash set! I love how she combined the patterned papers! 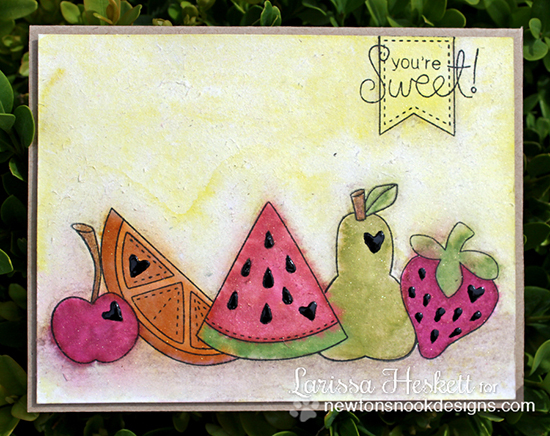 This card by Larissa Heskett showcases sweet and sparkly watercolored fruits from our Sweet Summer stamp set! What a fun look!